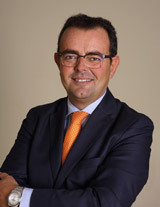 In 1994 Carlos Gabarró began his professional career as a tax advisor and, in 1998, he joined the international tax and private client practices at Garrigues & Andersen. In 2000 Carlos joined Ernst & Young (EY) where he held several leading positions, moving to New York in 2005 to lead the EY Spanish desk in the US. After returning from the States in 2008, Carlos was appointed EY’s Mediterranean Market Leader (Spain, Italy and Portugal) for its international tax practice. Carlos left EY in 2012 to become the co-managing partner of ALTALEX. Carlos advises HNWIs (including their family offices, financial advisors and trustees) as well as medium-sized groups and major multinationals on domestic and cross-border tax matters, in Mergers & Acquisitions, corporate reorganizations, holding and financing structures, intangibles assets management and tax-efficient value chain restructurings. He has worked in collaboration with both local and foreign groups and top-tier multinationals such as Abertis, Almirall, Altran, Avon, BASF, BMW, Bunge, CRH, DirecTV, Host Hotels & Resorts, Hugo Boss, Feld Entertainment, International Paper, Lear Corporation, Lidl, Royal Caribbean, Sinopec or Walt Disney, some of which remain as ongoing clients. Carlos divides his working time between his professional and academic duties and as such, he is a regular speaker at seminars and conferences in different countries, a lecturer and professor of international tax in universities and private institutions as well as author of several Spanish and foreign publications. With a Degree in Business Administration and an MBA from the European University of Brussels (1994), a Masters in Taxation/Tax Consultancy from the Centro de Estudios Financieros in Barcelona (1997). 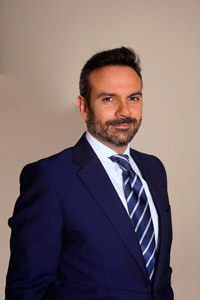 Eduardo began his professional career in 1996 as a collaborator in the tax and corporate law consultancy teams in what was then the well-known Barcelona-based firm of M. Pavón & Asociados and he took over as firm manager in 2002. Eduardo is a renowned expert in tax and commercial law advice for Spanish groups and foreign groups present in Spain. Eduardo is a member of the governing bodies of companies from a diverse cross-section of economic sectors. He has advised foreign groups during the processes of establishing themselves in Spain as well as Spanish groups abroad (especially in Asia and Latin America). He has worked in collaboration with the Spanish Ministry of Justice and the Family Business Institute during the legislative process of publishing the Family Protocol and in adaptations of legislation concerning the Spanish Stock Company (S.A.) and Limited Liability Company (S.L.). 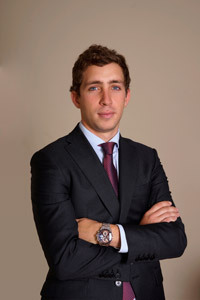 In addition, Eduardo is a regular contributor in questions concerning legal and tax issues to the Private Foundation + Empresa for the promotion of privately-held groups and with the Barcelona Activa Department of Economic Promotion (Barcelona City Hall) for attracting foreign investment to the city of Barcelona. Moreover, he regularly appears as a speaker for a range of different bodies and academic institutions. Degree in Law (1993) and Masters in Tax Advice (1997) from the University of Barcelona. Member of the Barcelona Bar Association. Former Judge for most part of his career, Josep Gálvez had previously worked in recognized Madrid and Barcelona law firms. In 2016 he joins Altalex as Of Counsel responsible of the Corporate and Dispute Resolution services area. Josep advises domestic and international companies on corporate and commercial transactions, as well as in litigation and arbitration matters, representing Spanish and international companies, financial institutions and investment funds in relevant matters such as corporate disputes, major civil building and engineering projects, disputes over D&O liability, M&A post-closing litigations, brought before ordinary Courts, as well as in domestic and international arbitral proceedings. Josep is currently Associate Professor of Private International Law and International Litigation at the University of Barcelona. In 2010 the University of the Balearic Islands appointed him Honorific professor of the Private Law Department. He is also lecturer in several other universities and business schools as well as author of a number of articles and academic papers in important publications, economic journals and specialized press. Degree in Law (Pompeu Fabra University 2004), and LL.M. (ESADE Business School 2008). Member of the Barcelona’s Bar Association and the Spanish Arbitration Club. 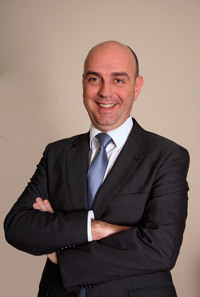 After holding several positions in the Tax Administration and since 1997 in a Barcelona-based firm, Javier joined ALTALEX where he advises corporate clients on domestic and international taxation issues, both Spanish companies abroad as well as foreign groups in Spain, from a variety of different sectors (including chemical, audio-visual, textile, hotel, automobile, real estate, energy, entertainment, new technologies) in addition to assist HNWI in tax matters. Javier is an Associate in the Firm’s tax practice. 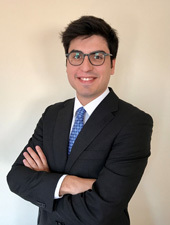 Javier holds a Bachelor’s Degree in Business Studies from the University of Barcelona, a Master’s Degree in Business Administration and Management from the Catalonian Open University and a Master’s in Tax Consultancy from the University of Barcelona. 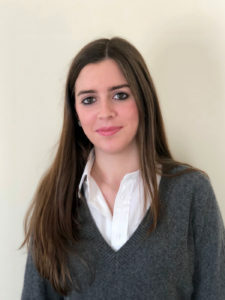 Miren holds a dual Bachelor’s Degree in Law and Business Administration and a Master’s Degree in Tax Law (with a scholarship granted by Cuatrecasas) from University of Navarra. While at law school, she has represented her University in an International Moot Court Competition held in India. She is called to the Spanish Bar and is a member of the Barcelona Bar Association. She previously worked with a couple of law firms specialized in tax law in Barcelona. She has lived during a few years in Singapore and has exposure to the Asian market and culture. An associate dealing with tax practice area in the firm, advises clients in national tax law, international tax, sportsmen taxation and transfer pricing matters. 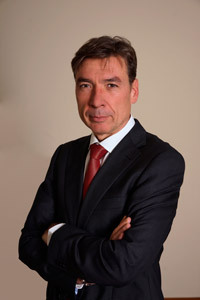 Marc Cisa is an Associate of the Coporate and Dispute Resolution services area of Altalex. Marc advices on corporate law while also intervening in litigation proceedings regarding commercial and bankruptcy matters, corporate conflicts and protection of intellectual property rights for national and international corporate groups, financial institutions and investment funds. He holds a degree in Law, a Master in Legal Practice, and a Master in International Business Law, all by ESADE. He is a member of the Barcelona Bar Association. 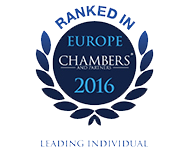 Fran Pérez is a corporate lawyer with a wide international background. He has experience in commercial and contract law, corporate restructuring, shareholders agreements as well as private equity and venture capital investments. Devoted to advising innovative and technology-based companies, he regularly leads legal advice in the definition of business transactions and protection strategies, software licensing, e-commerce projects and technology transfer. Fran holds a Masters in Corporate Law and a Law Degree from ESADE. He is a member of the Barcelona Bar Association. Having lived in four countries, he fluently speaks English, Spanish, Catalan and Italian. Associate in the Corporate Law practice. Mireia holds a Degree in Law by ESADE, where she also studied a double Master on International Business Law and Legal Practice. 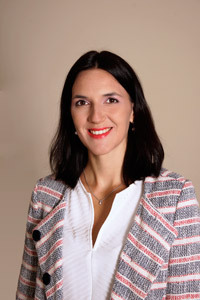 She collaborated in two other law firms from Barcelona in the corporate and dispute resolution areas. She also collaborates on succession planning matters for HNWIs. 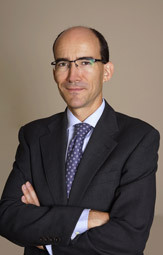 After holding positions in the Human Resources Department of the Spanish affiliate (with over 1,200 employees on the payroll) of a well-known US refreshment beverage company, José joined ALTALEX where he holds the position of associate specializing in different areas of labour administration, including consultancy for Spanish executives who are working abroad (expatriates) and foreign nationals living in Spain (impatriates), as well as for executive management members and ownership of privately held Spanish and foreign companies. Moreover, José advises clients in labour litigation matters as well as in cases involving Employee Redundancy Plans. 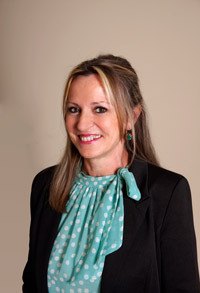 Merche counts with more than 20 years of professional experience in advisory firms and in the finance team of a relevant corporate group in the media business based in Barcelona. She is constantly up-to-date on technical matters related to her professional passion as an accountant and an excellent resource for some clients of Altalex.